Can We Transition to Renewable Energy Without Destroying More Desert? Earlier this week I wrote about the renewable energy industry's complaints that desert conservation was slowing the deployment of utility-scale solar and wind projects. The newspaper article that gave these industry complaints a soapbox described renewable energy development on public lands as "slowed to a crawl." 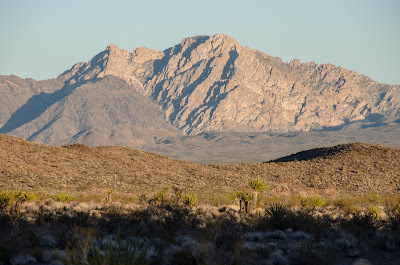 New projects proposals may have slowed down for economic reasons that were buried in the article, but public and private lands in our deserts have been significantly transformed over the past few years. Industry lobbyists want us to assume that we cannot reach our goal of 100% renewable energy without destroying intact desert wildlands. Over the past few years we learned why this cannot be allowed, and why it is not true: 1.) Building large-scale wind and solar on wildlands comes at a great ecological cost. 2.) Renewable energy technology is flexible, and we can find places to capture energy from the wind and sun without destroying wildlands. "Renewable distributed generation (“DG”) has benefits to society that cannot be measured on utility balance sheets." 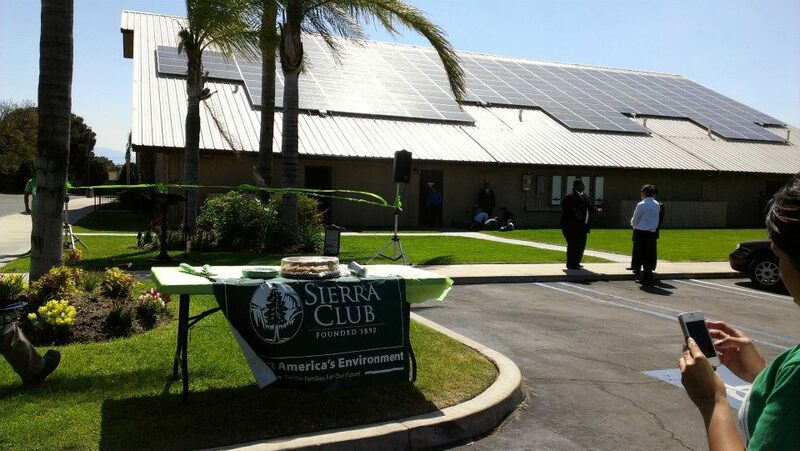 That is the bottom line of an extensive white paper submitted by the Sierra Club to the California Public Utilities Commission (CPUC), the regulatory body that is currently deciding whether rooftop solar will continue to expand in California or be buried by monopolistic utility companies seeking to continue a destructive status quo. The Environmental Protection Agency this week rolled out a Federal rule - known as the Clean Power Plan - that is designed to reduce toxic emissions from power plants. The Clean Power Plan is a necessary top-down step to cut fossil fuels and toxic emissions, especially in states where policymakers are climate deniers and shills for the coal industry. But let's be honest - the easiest path for most states to achieve the relatively weak targets set by the Clean Power Plan will be profitable for most utility companies and power plant owners, and destructive to wildlands and wildlife. And the states that have the most work to do on emissions reductions are the ones least likely to prioritize sustainability or local ownership in how they respond to the plan. The Wilderness Society is endorsing a bill that would encourage more corporate development of public lands, and allow Washington to undermine the National Environmental Police Act (NEPA). The Public Land Renewable Energy Development Act ( S. 1407, H.R. 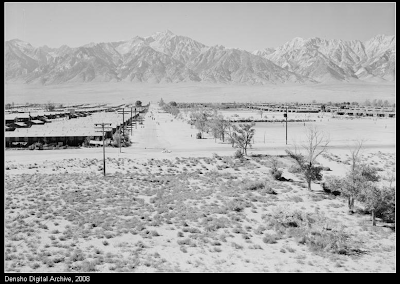 2663) would require the Department of Interior to identify priority and "variance" development areas for wind and geothermal energy, adding to the controversial Solar Energy Zones and variance lands established in 2012. The bill would not require "exclusion areas," would add staffing to speed up renewable energy permitting, and would allow Washington to short-circuit environmental review. 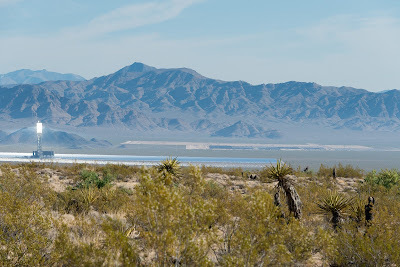 The Ivanpah Valley is now emblematic of the market's power not only to displace nature for the sake of materialism at an impressive scale, but also to limit the environmental movement's willingness to pursue sustainability. 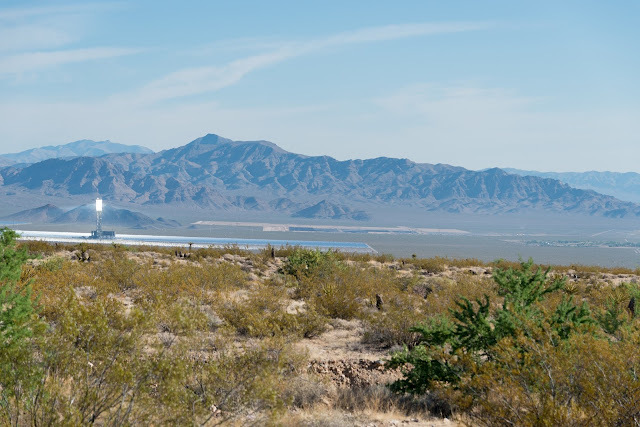 First Solar continues to bulldoze intact habitat in the Ivanpah Valley to make way for over 6 square miles of solar panels at its Stateline and Silver State South projects. The impact of the construction has been sobering, with desert tortoises, kit fox, LeConte's thrasher, ancient yucca, and countless other wildlife displaced or destroyed for a clean technology that can easily be installed on rooftops, over parking lots, and on already-disturbed lands. Distributed solar generation threatens to upend the centralized electric grid in a good way. This technology gives more people the opportunity to generate clean energy for themselves and to share with others without destroying wildlands. As Bill McKibben wrote in his book Eaarth about our energy future, "our projects, if we are wise, will be myriad and quiet, not a grand few visible to the world." How Much Is Rooftop Solar Worth? While we were focused last month on reviewing thousands of pages of proposed land management plans that would encourage utility-scale renewable energy projects across the California and Nevada desert, a seemingly obscure ruling by an administrative law judge quietly dismissed a key argument activists use in defense of wildlands and wildlife - that distributed generation is a better alternative to utility-scale renewable energy because it does not require the destruction of intact wildlands. The ruling (.pdf) was part of an initial step by the California Public Utilities Commission (CPUC) to determine the price utility companies pay for energy generated by rooftop solar projects, known as net-metering. Will Utility Companies Charge You For Being Efficient? Will utility companies charge me extra because I cut my energy usage through efficiency improvements at home? 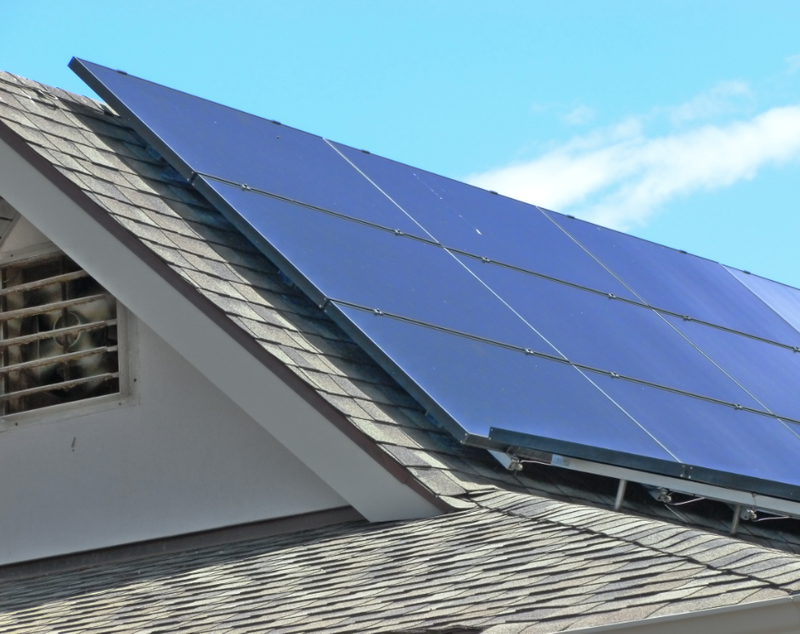 Utility companies across the country are proposing new fees for people who find a way to reduce their dependence on a dirty and destructive energy grid by operating rooftop solar systems. The core of the utility companies' argument is that these homes and businesses with rooftop solar cut the amount of energy they need from the grid, and thus they reduce the amount they pay for the operation and maintenance of transmission lines and substations that bring them energy from far away places. In his State of the Union address, the President applauded the success of rooftop solar - noting that every four minutes another home or business goes solar. He also encouraged Congress to cut subsidies for fossil fuels. Importantly, he also vowed to protect pristine federal lands for future generations. If the United States can execute on this vision, we can deliver a promising future that slashes fossil fuel emissions, generates clean energy in a responsible fashion, and preserves our country's natural treasures and open spaces. What does it say about our respect for the past that the Los Angeles Department of Water and Power (LADWP) is willing to ignore empty rooftops and parking lots within L.A. city limits - perfectly capable of hosting solar panels - to instead build a massive solar plant right across from the historic site of the first Japanese American internment camp built in 1942? As a place, the desert holds a lot of meaning for many people, each of whom holds a different perspective of the desert as an individual. A peaceful getaway for city-dwellers, a terrain whose story is told in Native American salt songs of spiritual significance, and a place of bittersweet hardship for explorers and miners who sought their fortunes in an unforgiving landscape. Our perspectives of the desert can be bundles of emotion as varied as the topography and wildlife that calls the desert home.